Add a bit of whimsy and sophistication to any decor. 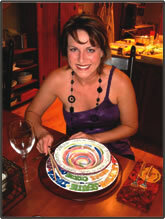 Decorative pottery brings interest and intrigue. Raku is a modified Japanese technique. Artist uses a post-reduction technique whereby the object is removed from the kiln red hot by the use of steel tongs. It is immediately placed into a bed of organic matter such as straw, leaves, shredded newspaper, etc. The heat of the object ignites the organic matter and then the whole combusting area is smothered under a steel container. During the smoking period, the clay and glaze on the object absorbs carbon from the burning of the organic material which in turn imparts various colors by reacting with the red hot surface of the object. Make shopping an experience to remember. 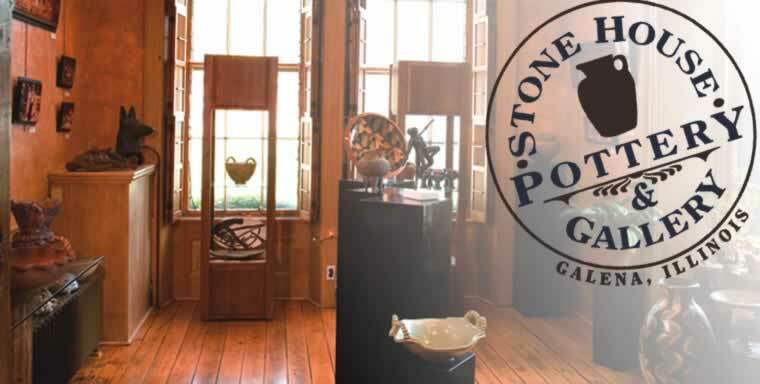 Art and pottery purchased from Galena's Stone House Pottery and Gallery will prove to be timeless treasures in any home.These Galena originals can be purchased at the StoneHouse Pottery and Gallery in Galena, Illinois.